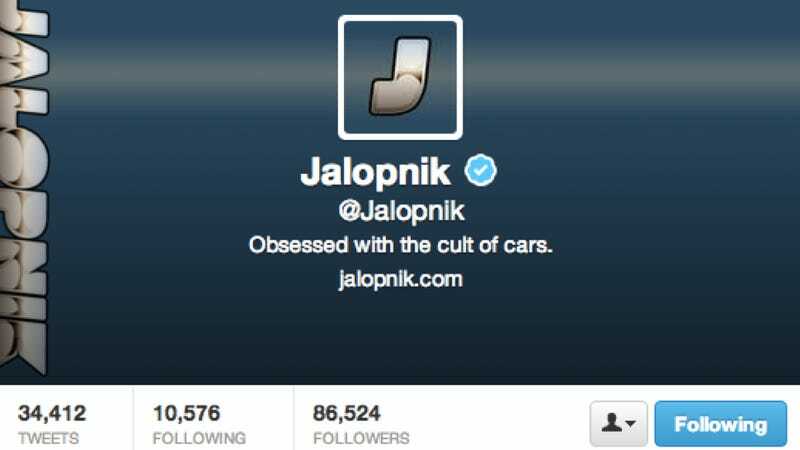 What's The Best Auto-Related Twitter Account? There's a lot of useless information out there in the Twitterverse. But every once in a while, you stumble on an account that is everything you want in 140 characters. What's the best car account out there? One of my favorites has to be the satirical @BreakingAuto. Basically, they make fun of everyone complaining about the choices in the auto industry. They don't tweet often, but when they do, they drop bombs. What about you? What car accounts are a must follow on your Twitter feed? Now, we're not looking for feeds pimping stories either (like Autoblog, Top Gear, or even us). What we want are cool pictures, interesting car people, funny jokes, insightful commentary, or someone that just shares all that is awesome in the car world.